One really important aspect of blogging actually happens offline, and in real life. That is networking. You can network with other bloggers at events, network with followers at meet-and-greets, and network with brands at media previews. Most people don't realize this, but a good bit of blogging is done offline and in person. When I first started blogging, I would receive email invites to various store openings, requests to come into a restaurant and try out the new menu, and invitations to media previews throughout DC. At first I was really excited to even have someone recognize that I (and my blog) existed. Really cool, right? I also thought how great of an opportunity these events were to snap a great photo, enjoy a few light bites and a glass of pinot. All the while never realizing the importance behind these events. So let's take a step back to probably one of my more embarrassing moments when I first started blogging. I received an invitation to come into a store and preview their new line for the season. Of course I was the first person to arrive. My promptness definitely can be a negative in some cases. Any who, when I arrived I was immediately introduced to their sales rep. She asked how much I knew about their company and I froze. I really didn't know anything past the fact they serviced women's clothing. That was it. After walking through the store, I left with zero questions asked and no photos taken. A week later, their PR contact emailed me and asked when I was going to do a post on their new line and when I was going to share photos on social media. DOUBLE FAIL. In the end, I should have asked questions beforehand. I should have "known," but I was still so new to blogging and just didn't realize. That was very early on in my blogging career, and I have since then learned "what not to do." As the spring events season amps up, I thought it was the perfect time to share a few tips I've learned over time. I'm most certainly still new, still learning, and still grasping the event concept, but for newer bloggers, here are some tips I've learned for attending media previews and/or brand events. There is a purpose // A media preview, blogger happy hour or event, has more than just a "come enjoy light bites and mingle with other bloggers" purpose. This is your opportunity to learn more about a brand, and for a brand to expose their new line or menu to some really powerful voices in the area. It's OK to say NO // As you progress in your blogging career, you'll start to get invited to more and more things. Some of the time, several events can very well be on the same night. It's key to remember that you shouldn't over commit. Give yourself one or two nights off each week to hangout with friends or just relax. It's okay to say you can't attend an event, but hope they'll keep you in mind for future things. Take a friend // Especially if you're new to blogging and a fairly shy person, go with someone. If the event says, "you and a guest," bring someone with you. Typically bring a fellow blogger, because they'll be just as interested in the event as you. That only makes for a better time and makes you feel more comfortable. Do your research // This is very important. Don't walk into a media preview and have zero clue how to pronounce the brand's name. Do a little background and know what the brand is about. Do they service men's fashion or women's? How long have they been in the area? Etc. On the flip side, you don't need to be an encyclopedia of information who knows every single detail about the brand. One of the points of attending the preview is to ask questions and be interested. So make sure to ask the brand reps questions about their company and anything you feel your readers would want to know. Know what's expected of you // There's nothing worse than attending an event or trying out a local restaurant, and then the PR contact comes back and asks, "where's the post?" That has happened to me. I quickly went back through emails, searching for where they asked for a post. Never did. So make sure if you accept the invite to try out that new restaurant, you ask the contact what they expect. Just social media? Great. They want a post? Ask what they expect of the post. It NEVER hurts to ask. This isn't a frat party // Don't be that person ripping shots just because it's an open bar. At the same time, enjoy yourself and do look like you're having fun. Nobody likes a wallflower. Take photos // Brands love when you take photos and share on social media. Most reps will mention that you should take photos, but in case they don't, it never hurts to ask. You don't have to buy something // We're all on a budget. 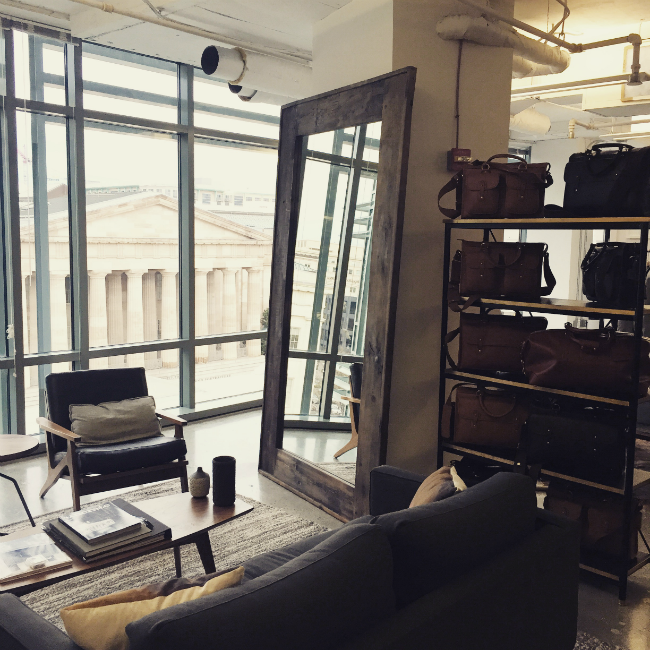 Just because a designer brand invites you into their store, that doesn't mean you have to throw down several hundred dollars for their new bag. They don't expect you to either. You can find other ways to share the brand with your followers. Try taking a photo of the new bag and sharing on social media instead. Make new connections // Even though you may arrive with a friend, that doesn't mean you can't meet new people and network. Don't be afraid to introduce yourself to others. Business cards // Always, always, always have them with you. No matter when or where you go. Enjoy yourself // While media previews can have some business to them, they're also meant to be fun. Enjoy the evening and enjoy the company. How often do you get to attend a private party at your favorite designer's store OR try out the new local restaurant's menu before it opens? Okay, for some it may be often. BUT you're getting to do something most people don't. So have fun! Send a thank you // Always email the PR contact and person you met with at the event, thanking them for the invitation and that it was a pleasure to meet them. If you have a mailing address, send a handwritten thank you. Trust me, thank you's go a long, long way. Post social media // If that's requested of you. Even if it's not, I generally try to share a photo on Instagram or tweet that I was there. Going above and beyond goes a long way as well. Write your post // If you were asked to write a post, make sure you get it up in a timely manner. Posting a recap a month after an event doesn't make much sense. Unless there are other variables involved, like featuring outfit photos, etc. These are all points I have learned along the way. We all start somewhere, and I'm still learning with each event. 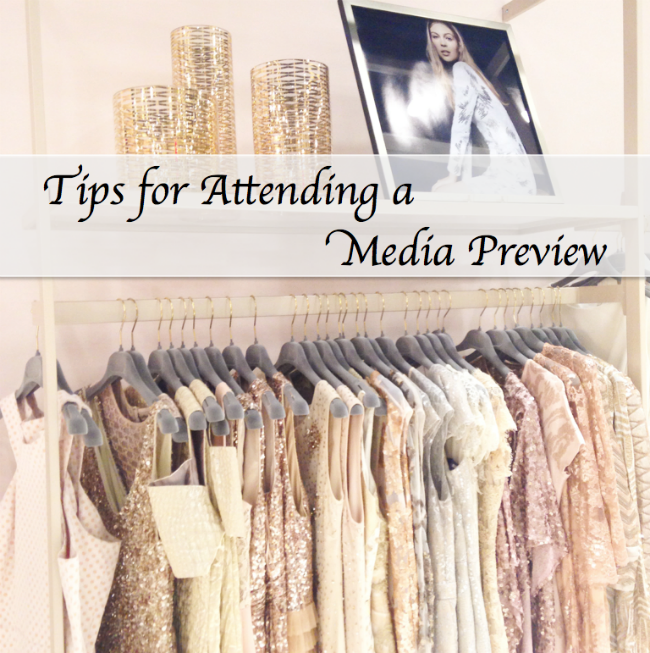 But hopefully some of these tips will help you next time you get an invite to an event or media preview. Have any tips that you live by? Let me know! These are awesome tips, thank you for sharing! Have a beautiful day Kristyn! Some of the common examples of corporate events are: Launching a product, road shows, concerts, social events and media advent with corporate sponsorship. Corporate events are managed according to their particular nature, keeping in mind the aim of the event. Fantastic tips, thanks so much for sharing! Great tips! I am new to blogging and also in the DC area :) How do you come across media invites? I would love any advice you have. 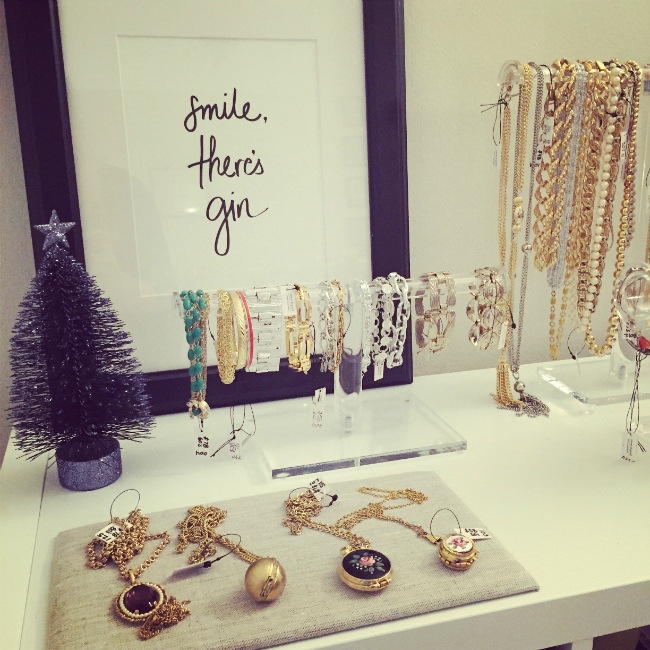 I have attended some blogger social hours and few media events, but would love to attend more!